Christopher Sands, a rising investment banker, was just another victim in a long list of doppelganger schemes. Framed for a crime he wouldn’t commit and watching his family fade farther and farther from his prison bars, Chris makes an unbelievable discovery; shapeshifters aren’t the only race with supernatural abilities. Can he find the strength to accept an even worse fate than prison to not only save his son, but all humankind? Will Michael Sands be able to control the spirits that haunt him to finish what his father cannot? The original idea came from my first book, *Dillon’s Dream: Water & Earth*. (it may sound like a long time to some, but I also have a 60-hr a week job). motives, and growth to my outline that hopefully ensured consistency. this, always there were a couple reviewers who became confused. 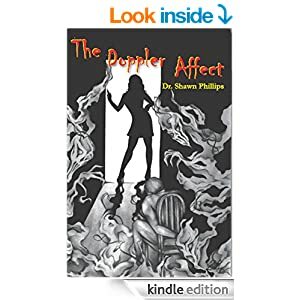 Shawn Phillips wrote his first book, a young-adult fantasy novel titled Dillon’s Dream: Water in Earth, in 2009 before following it up with his adult paranormal fiction novel, The Doppler Affect. In addition to the sequel to The Doppler Affect, he currently has two other projects in progress, which he plans to complete in 2015. He spent his younger years living in southern Michigan farming communities before moving to Holland, Michigan to pursue a chemistry degree at Hope College, which he completed in 1992. After relocating to California, he continued his chemistry studies and obtained his doctorate degree in 1997. After a brief yet enjoyable stint at DuPont, he signed on as a civil servant for the United States Air Force. He has spent more than fifteen years conducting and directing propulsion research at the historic Rocket Lab, located on Edwards Air Force Base.